Only 13,000 units will be made, which is a good sign that even the Japanese know this thing is too crazy to be put into full production. All of you Verizon Windows Mobile fanatics who are suffering from Android envy can cheer up. Verizon Wireless has just announced that it will be releasing the Samsung Omnia II, on December 2nd for $200 on contract (after $100 mail-in-rebate). Let’s review some of the specs, shall we? The Omnia Deuce II has a snazzy 3.7″ WVGA AMOLED touch-screen and will be running Windows 6.5; add to that Wi-Fi, EV-DO Rev. A, a 5.0 megapixel camera, Bluetooth, Xvid and Divx video support, microSD card slot, and Samsung’s TouchWiz UI — a pretty nice package. How about it? 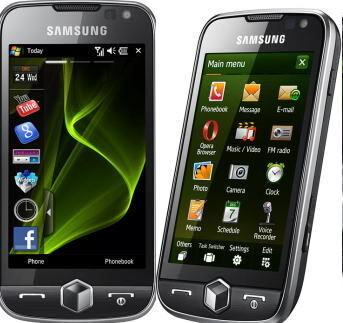 Is this the handset you’ll be hoping to get for Chrismakwanzakah? 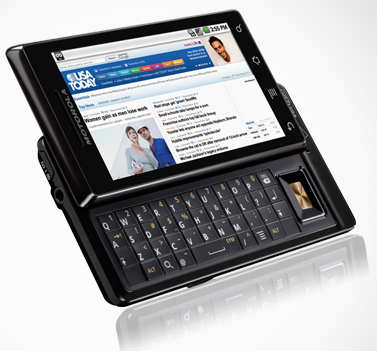 Wishing you could get a Motorola Droid and stand out from all your Android-toting friends at the same time? Then you might just want to consider bidding on this "limited edition" Droid prototype that just turned up on eBay, which has a reasonably good chance of being an actual Droid, and a slight chance of being an actual prototype. If the seller is to be believed, however, this particular Droid is one of only five produced, and is different from the standard issue Droid in a few respects -- including a chrome bezel instead of a black one, silver buttons instead of gold, and some "enhanced LED lighting" on the front buttons. It also apparently works just fine, and is ready to be activated. Willing to take the chance? Bidding starts at $485. Today Samsung announced that it has added CDMA-EVDO 3G data capabilities to its UbiCell home femtocell product. The UbiCell was first introduced in 2007 and acts to extend and/or improve in-home cellular coverage for those who don't have good network performance where they live or work. The original CDMA UbiCell only supported voice traffic. This new version adds 3G data, meaning users will be able to browse web via the UbiCell in their homes. Samsung didn't say which carriers will offer the 3G UbiCell, but it is compatible with networks operated by a number of CDMA carriers, including Sprint and Verizon Wireless. It will be available at some point during the first half of 2010. The folks over at uLocate, makers of the popular GPS-centric WHERE application, have come through with some stats in order to help us better track the DROID as it leaves store shelves…and there’s a map for that. Oh irony. When you download WHERE from the Android market, uLocate (like any good developer) can tell: what model of Android phone you are using and where, roughly, you are geographically located. The DROID after its opening weekend was estimated to have sold close to 110,000 handsets (Bloomberg), and according to uLocate, 10% of those devices had downloaded WHERE (this number was based on 11,000 new WHERE DROID activations). Not bad. As of today, uLocate has tracked 21,000 new DROID activations, and is projecting that number to increase to 25,000 by tomorrow. What does this mean? WHERE typically has a 25% penetration rate on all Android handsets sold worldwide, and a 10% penetration rate on new Android devices during the first month of their release. If the 10% number holds true, which we are told historically it does, then there have been somewhere around 250,000 DROID units sold and in use since last Friday the 6th. That wouldn’t include any units that haven’t ended up in customers hands from telesales, or other sales channels. Again, this is just using past and present data from uLocate, but it should be realtively accurate if their download ratio stays the same. So where is the DROID dropping like it’s hot? New York currently has 12% of all DROIDs, LA has 6%, and DC has a respectable 5%. Check out the site for more info and other top cities. We've already seen a quick Palm Pixi unboxing and hands-on video, but we're guessing most folks are looking for a bit more than that in the lead-up to launch day. Thankfully, YouTube user stayfly2407 has come through with a video that, for the first time, clearly shows the Pixi running webOS 1.3.1, which may or may not be the version the phone actually ships with -- it was only just recently seeded to developers. The video unfortunately doesn't show any new features associated with this version, however, but it does seem to be speedy enough even in spite of the Pixi's slower processor. Head on past the break to see for yourself. With the 2009 BlackBerry Developer Conference kicking off today in San Francisco, RIM has doled out two press releases to get the ball rolling. As many of you may recall, it was back in August that we first broke the news that RIM was going to implement support for Adobe Flash in its browser for 2010. Two months later, this and more was confirmed by Adobe. Now RIM has come forward and announced a furthering of their partnership. Developers will be able to take advantage of Flash and Creative Suite 5 by directly exporting elements created within into various BlackBerry development tools. The goal of this is to quickly and efficiently create applications and widgets that are more multimedia rich and offer a far greater user experience than is currently possible. The same family of Adobe products will also be able to work in tandem with the new BlackBerry Theme Studio. Another thing announced today was the BlackBerry Academic Program. Having already been piloted by some 500 students over the past year, the Academic Program gives colleges and universities the knowledge, tools and curriculum it needs to offer students BlackBerry-specific courses in development, administration and support, a field which has been and still is experiencing tremendous growth. More details for both Adobe’s further collaboration with RIM and the BlackBerry Academic Program are available in the read links after the jump. The Motorola Droid is finally here and I have been waiting for this since the beginning of time. The Droid is really something different than what Motorola has come out with and will definitely make a dent in the smart phones market. Also check out the Motorola Droid accessories for example blue plastic cases which I like. Candidly speaking, we can't honestly envision too many of you fine folks running out and purchasing one of Creative's new ZEN X-Fi2 portable media players given the availability of such robust alternatives. That said, we'd be remiss of our duties if we didn't point out that the PMP which shocked us at IFA is now on sale directly from Creative. $129.99 buys you an 8GB model, while $179.99 nets you 16GB and $229.99 provides 32GB. We know -- that 3-inch LCD and integrated FM tuner look good from afar, but remember kids, it's all about the UI. Shortly after the official announcement for the BlackBerry Curve 8530 coming to Verizon, Sprint customers were asking, “When are we getting ours?” It looks like a Sprint version may be coming around about the same time as Verizon’s 8530. There is no date for sure, but a Sprint spokesperson said that it is definitely coming and will be packing Wi-Fi and EV-DO, too. The price point should be about the same as Verizon’s, we’d imagine, though we’re hoping they give some kind of incentive for grabbing one of these over a Tour, which can currently be had at Best Buy for $99. If nothing else, this could appease all the trackball haters. Let’s just change the hue on that puppy, alright? 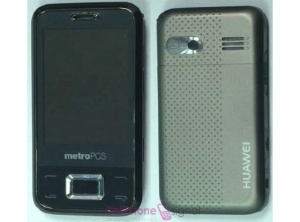 The Huawei M750 recently became available from MetroPCS for $200. This touch phone features a software QWERTY keyboard, 1.3 megapixel camera, Stereo Bluetooth and support for microSD cards. MetroPCS points out that the M750 has an "intuitive touch user interface" but doesn't share many details about it. The device comes with a stylus, which implies that the touch screen is resistive. *Protect and up your style with the help of the Huawei M750 accessories. At the event, Sony Ericsson also said that the X10 is just the flagship in a new Android-powered range, and that the Rachael UI will also likely end up on its Symbian phones. Interrresting. Motorola’s DROID might be the new darling of the Android world, but other manufacturers are still kicking about and pumping some great offerings. Yesterday Sprint pushed out one such device and that’s the Samsung Moment. It might not be benefiting from the insane amounts of hype that the DROID is enjoying, but it does have a 3.2″ AMOLED touchscreen display, sliding QWERTY keypad, 3.2 megapixel camera, Wi-Fi, GPS, 256MB RAM and a speedy 800MHz processor running on top of Android 1.5. At $179.99 after a $100 MIR, the Moment comes in at $20 cheaper than the DROID, a price we can’t help but think Sprint is already considering slashing. *Use the Motorola Droid case to protect your Droid. Sprint Nextel recently made the Sanyo SCP-3810 for sale. The 3810 is an entry-level clamshell that has a hidden external LCD, 1.3 megapixel camera, GPS (for navigation and geo-taggin images) and Bluetooth 2.0. Sprint calls out the 3810's large keypad, 2.4-inch screen, and adjustable fonts for those who like an easier-to-use handset. It supports mobile email, threaded SMS, Picture Mail, and IM messaging services. The 3810 is free after rebates with new agreement.